I’m a freelance writer, based in London, published in both fiction and non-fiction, as well as poetry. I am represented by literary agents Jonathan Clowes Ltd.
My novel The Principle of Camouflage (Two Ravens Press, 2011) was described by Maureen Duffy as: ‘A true work of the imagination, transporting Prospero’s island, and us, to wartime Britain on a shining wave of sea images.’ Elizabeth Baines (Fictionbitch), writing in The Guardian, called it: ‘enticingly strange…Poetic…Very literary… beautifully written. I loved it.’ She shortlisted it as a ‘missing contender’ for the Guardian First Book Award, and it was selected for the Edinburgh International Book Festival. My play The Blue Hour of Natalie Barney was first produced at Arcola Theatre in London 7-11 November 2017, starring Amanda Boxer and directed by Kenneth Hoyt. The playtext is published by The Pottery Press. As a non-fiction writer, I’m probably best known for Journey from Winter (Carcanet, 2008) – my edition and selection of Valentine Ackland’s poetry, with critical biography. In the TLS Ali Smith described me as ‘Ackland’s critical guardian angel’ and praised my ‘impassioned reading’; The Guardian commissioned me to write Ackland’s centenary feature, and I contributed a chapter on her to Critical Essays on Sylvia Townsend Warner (Edwin Mellen Press, 2006). My professional involvement with Ackland’s work/life continues, with regular talks and readings. I’ve also published short stories and poems in anthologies and magazines, including Double Tongue (Diva Book of Short Stories, 2000 – LAMBDA best anthology award), The Recognition Scene (Long Journey Home, The Women’s Press, 2001), and Call Me By My Name (Necrologue, Diva Books, 2003 – my story was selected by Time Out’s reviewer as: ‘well-written and imaginative, particularly haunting…). 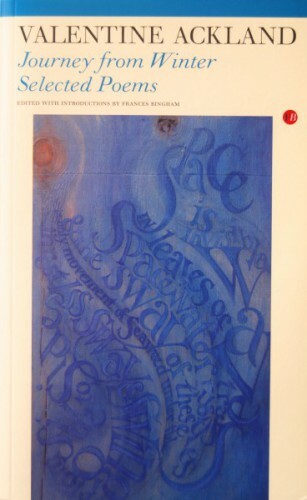 My poem about Amy Johnson, Sicilian Avenue, was awarded a prize by Michael Donaghy at the York Poetry festival back in 1996, and I’ve published a long poem, MOTHERTONGUE, as a limited edition artists’ book, with images by Liz Mathews (Pottery Press 1999). My most recent poetry publication is Translating Sappho in issue 7 of Chroma (2008). I’ve read my work at numerous literary festivals and other venues (from academic conferences to gay literary salons), including the Southbank Centre’s Literature and Spoken Word programme, the Edinburgh International Book Festival (2011), the V&A’s Friday Late (2015). I’ve also read poetry live on Woman’s Hour and contributed to the BBC Radio 4 series From the Ban to the Booker. I’m the daughter of the Scots historian and biographer Caroline Bingham. 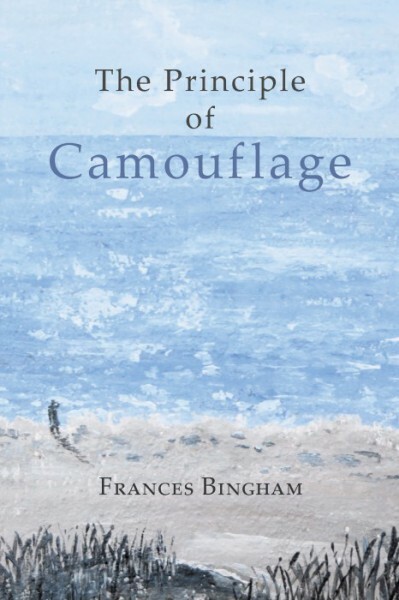 I work with my partner Liz Mathews, the studio potter and lettering artist, on text-based projects; she created the artist’s book images for my long poem MOTHERTONGUE (Pottery Press 1999), also the cover images for Journey from Winter and The Principle of Camouflage. She’s set my words in numerous artist’s books and paperworks, for example in her installation at the Poetry Library at the Southbank Centre and other recent exhibitions, and in the artist’s film Riversoup.